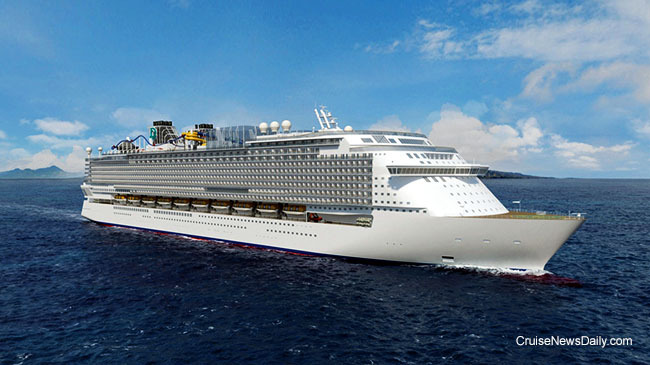 Yesterday, MV Werften (the chain of German shipyards owned by Genting) laid the keel for the first 204,000-ton Global-class ship for the Dream Cruises brand. The block itself which was lowered into the dry dock was 22 meters long (72 feet), 26 meters wide (85 feet) and weights 410 tons. With 2,500 staterooms and suites a total berth capacity of 9,500 passengers, and sized at 204,000-tons (approaching Symphony of the Seas' 228,000 tons), the ship will be the largest ever built in Germany.